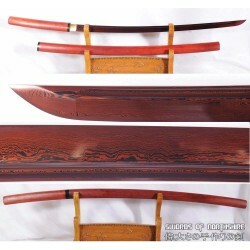 The shirasaya sword has a unique history and is quite popular among collectors. The word shirasaya translates to “white scabbard” and describes the clean design of the scabbard, rather than the blade. 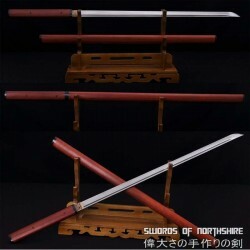 A traditional Japanese shirasaya can house katanas, wakizashis, even tantos. Our shirasayas are made with the highest-quality materials in the simple traditional design. They complement and preserve their blades in times of peace. 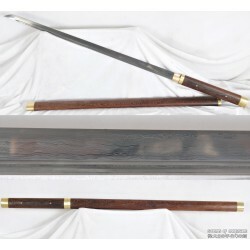 Whether you’re looking for a wakizashi to add to your collection or a ninja sword for battle, take a look at our selection of shirasaya swords for a simple, elegant design. Shirasaya protected all types of blades, including yaris or spears. 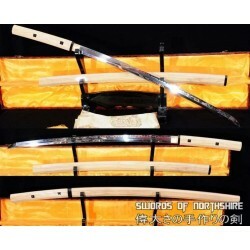 The main purpose of a shirasaya was to preserve the samurai sword blade when it was not being used. 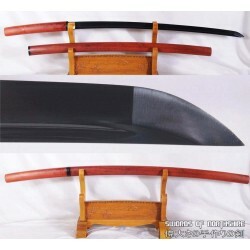 It was not meant to be used during combat because there was no tsuba (hand guard) or handle wrappings. As stated before, the shirasaya was designed to be a simple wooden scabbard. 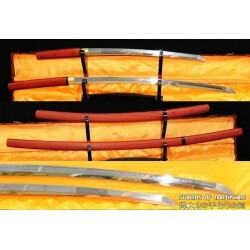 Occasionally, a sayagaki, or sword appraisal, was written on the scabbard. 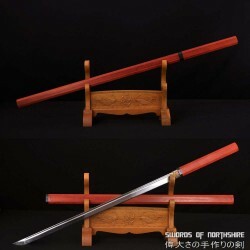 The shirasaya was extremely simple in comparison to the koshirae, a more detailed sword mounting technique used on most samurai swords. The simplicity of the shirasaya is a beautiful complement to any samurai sword or blade. 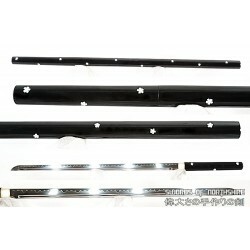 This shirasaya sword set is made of 1095 high carbon steel, clay tempered with a polished mirro..